Access the Spark Console for a Spark Master node from within OpsCenter. Monitor in-memory usage from within OpsCenter. View logs in the Recent Log Information pane within the Node details dialog. The Cassandra System Log, Cassandra Debug Log, and OpsCenter Agent Log are available for viewing within OpsCenter monitoring. 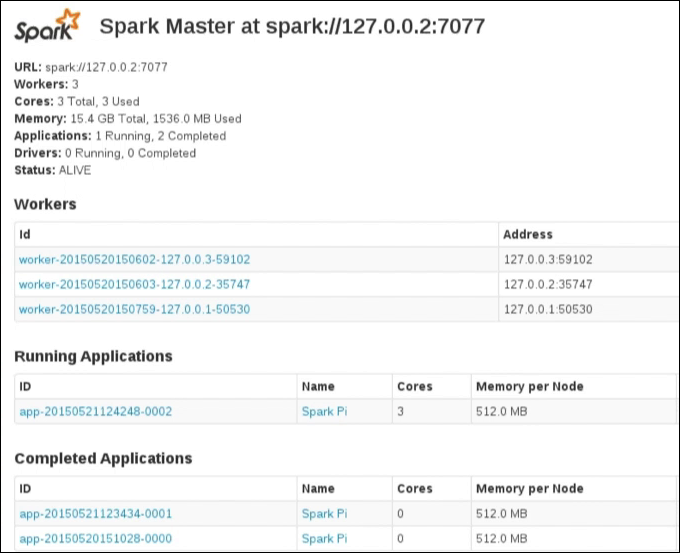 Access the Spark Console for a Spark Master node from within OpsCenter. After accessing the Spark web UI, drill into Spark Worker Details. In the left navigation pane, click Cluster > Nodes > List View. Spark nodes are indicated by a star icon. Click the node in the list to view its details. The View Spark Console link appears for nodes that are a Spark Master. Designate the Master Spark nodes by giving the node an alias for faster identification. Under Spark Master, click the View Spark Console link. The Spark console launches in another browser window.